The candidates, after filing their nominations put up a small road show right outside the collector’s office and waved at a huge crowd that had gathered to catch their glimpse. Priya Dutt with husband Sanja Dutt as she files her nomination in Mumbai for the Lok Sabha elections. Mumbai: Actor-turned politician Urmila Mantondkar, Sanjay Nirupam and Priya Dutt, the Congress-NCP candidate from the Mumbai North-Central constituency, along with her husband Sanjay Dutt arrived at Bandra Collector Office on Monday to file their nomination for the Lok Sabha elections. Dutt was also accompanied by other congress leaders such as Kripashankar Singh and Baba Siddiqui, while Urmila, the newly appointed Mumbai North candidate, came with her husband Mohsin Mir. 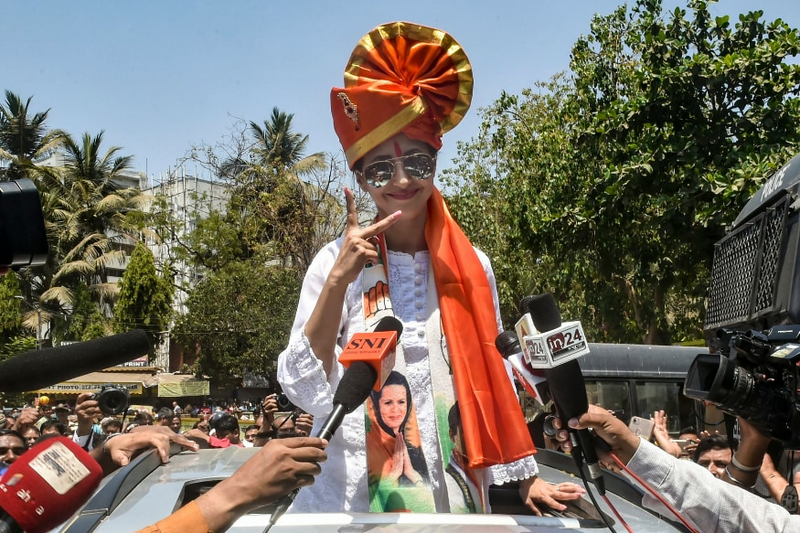 Sporting a traditional Maharashtrian Pheta (orange turban) and a white kurta, Urmila undertook a road show on a bike till the collector’s office before filing her nomination. Meanwhile Dutt visited the Siddhivinayak temple before filing her nomination “Every election has been important to me. I’m confident of a victory. We have been doing a lot of work on the ground,” she said. Nirupam, who was removed as the Mumbai congress chief and was given candidature from the North West constituency, is also confident of a win. “This is my home constituency. I have served citizens there. The current MP of this constituency has done no work, he has been inactive. I’m accessible and approachable unlike him,” he told the media after filing his nomination. The candidates, after filing their nominations put up a small road show right outside the collector’s office and waved at a huge crowd that had gathered to catch their glimpse. The remaining candidates from the party, including Milind Deora are expected to file their nomination on Monday afternoon.